“Trail work is about having the patience to set a rock, and the intelligence to improvise when a tool breaks on the first day of a backcountry project. It’s about having the tenacity to keep trying—to keep lifting, hiking, chopping, digging—and the humility to know your limits.” Dove Henry, in her first-year with ADK’s pro crew. That tenacity is the heart and soul of ADK’s Trail Crews, and your love of the trails makes their remarkable work possible year after year. 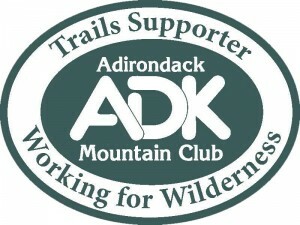 ADK’s Volunteer and Professional Trail Crews give their all so your outdoor experience is enjoyable, scenic, and safe. With your gift today, ADK’s incredible Trail Crews will help provide access to New York’s wild places and protect our natural resources. ADK’s Professional Crew, or Pro Crew, is comprised of two dozen young men and women representing some of the best and brightest in environmental studies, conservation, and scientific research. They hail from the University of Vermont, Clarkson, Vassar, and Paul Smith’s College, among other prestigious schools. The Pro Crew spends forty-four hours each week using hand tools and working in teams to perform intensive trail reconstruction with primarily native materials. From June to August, Crew members use brain and brawn to push boulders into place and drag lumber up mountains. Some stay through fall to complete more projects. Pro Crew members give the term “sweat equity” a whole new meaning. This year, ADK’s Pro Crews will build stream span bridges, maintain drainage ditches, remove blown-down trees, install stone steps, and hone their trail skills. Your gift to ADK’s Trail Program keeps trails passable and sustainable and ensures these skills are handed down to the next generation. 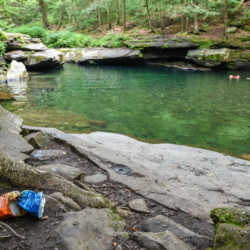 In addition to extensive trail work in the Adirondacks and Catskills, the Pro Crew will spend ten weeks in Westchester County installing a new trail that traverses the Hudson Valley’s Mianus River. The labor-intensive project will require more than 500 feet of stone retaining wall. During 2017, the best muscle-powered Trail Crew in all of New York patrolled 121 miles of trails (clearing drainages and removing blowdown), created 646 cubic feet of retaining wall, and installed 323 rock steps—all thanks to your support. Volunteers spent more than 13,000 hours in the Adirondacks and Catskills last year, which does not include all the hours each of ADK’s twenty-seven chapters invested in their local communities across the state. Along with the Pro Crew, ADK offers Supervised Volunteer Trail Programs that teach trail maintenance, natural history, and Leave No Trace backcountry ethics. 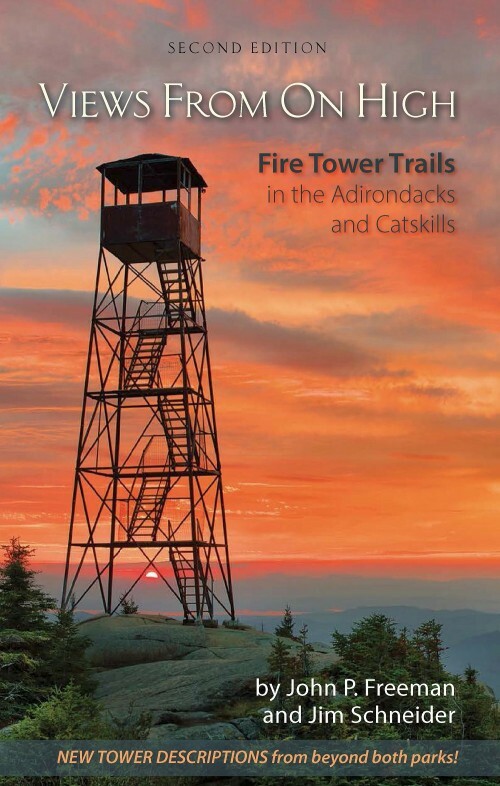 The Volunteer Crews complete trail work and reconstruction throughout the Adirondacks and Catskills, expanding the program’s impact. ADK provides paid staff leadership, group camping gear, tools, transportation from base camp, and food for multi-day projects. Base camp is located at the Adirondak Loj Wilderness Campground adjacent to Heart Lake. Trail work is demanding, challenging volunteers both physically and mentally, yet the rewards last a lifetime. 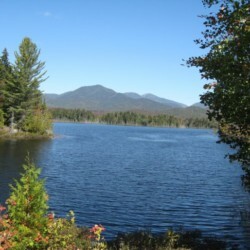 In addition to the Professional Trail Crew, your donation funds the Supervised Trail Program and allows ADK to maintain more trails than would be possible without volunteers. Beyond the lumber, rocks, hammers, and saws, there is an intrinsic value to sustaining and building trails that is difficult to describe. But if a well-maintained trail has ever enabled you to surpass your own expectations, find yourself, marvel at nature’s beauty, or restore your soul, you understand the importance of maintaining New York’s exceptional trail network. 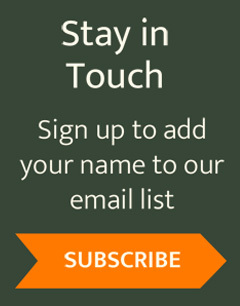 Please give today so others can enjoy the life-altering experiences New York State wilderness has to offer. Thank you in advance for your generous support. P.S. 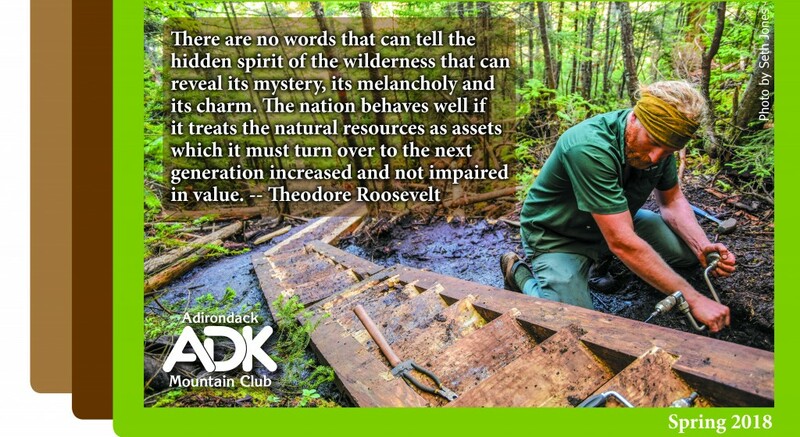 A gift to ADK’s Trail Program is a gift to yourself, to future generations, and to the lands you love. Give $50 or more and receive our exclusive Trails Supporter decal for your vehicle. Show off your love of the trails! Only your physician should diagnose your health problem omeprazole cheap and prescribe..